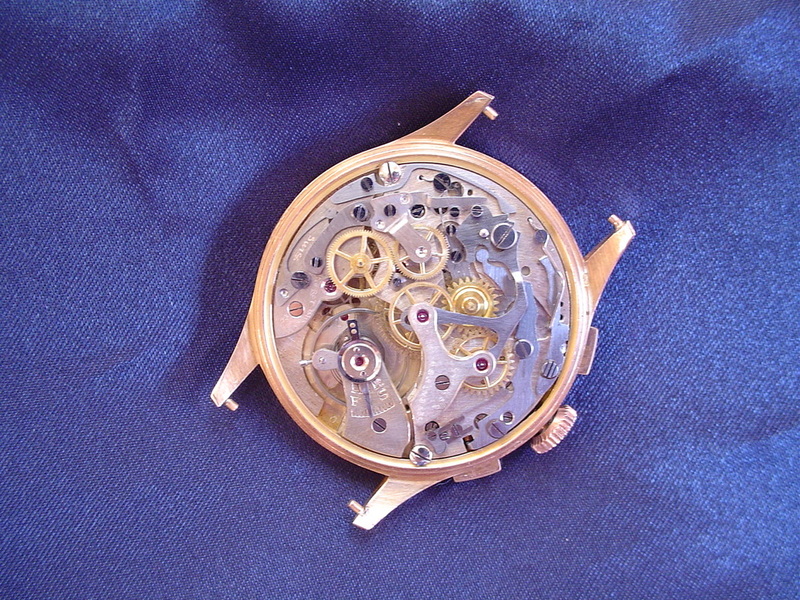 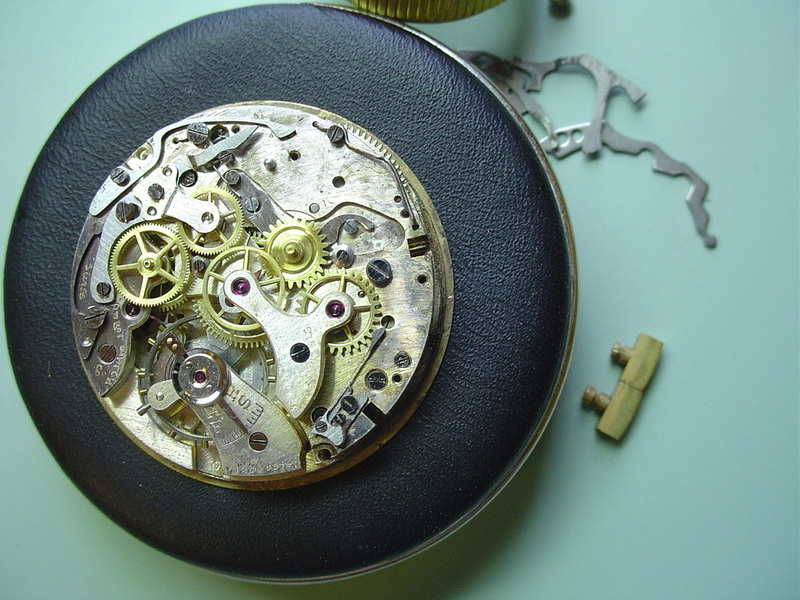 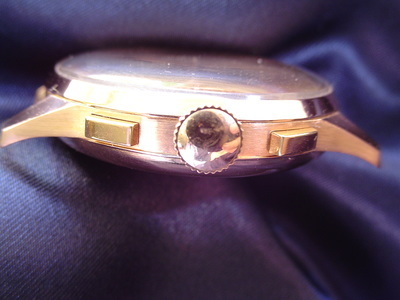 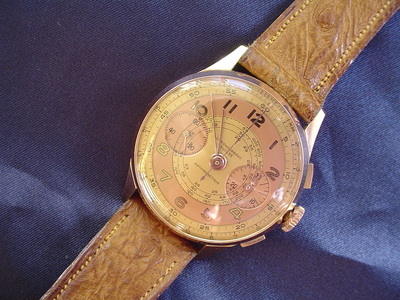 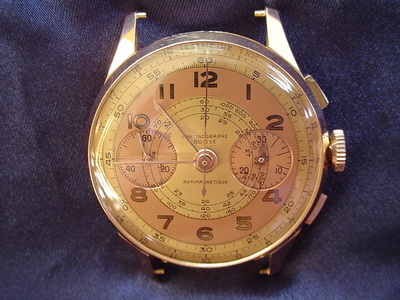 Service Repair and sales of Wrist and Pocket Watches. 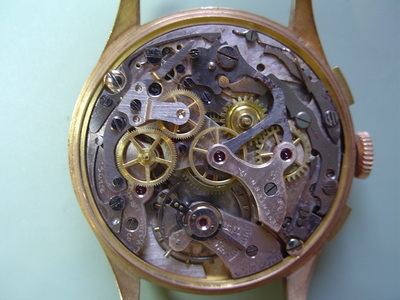 All work carried out by graduate certified watchmaker. Due to the amount of corrosion and plating damage each part hand polished as best as possible without replacement. Watch was completely stripped cleaned and Mono-Rattrapante Chronograph function restored.